Home » Blog » News » Contest #3! 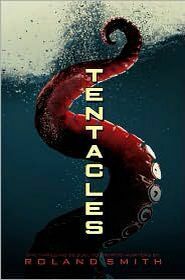 Free signed hardback copy of TENTACLES! Our second contest has concluded. Yet another lucky winner has been chosen and has been sent a signed copy of one of my novels. For those who didn’t win don’t despair. The third contest is up with another question, but this time the question is from my novel “Cryptid Hunters.” The prize is a signed hardback copy of the sequel to Cryptid Hunters…TENTACLES. Just go to my Home Page RolandSmith.com click the CONTEST! icon on the right side of “Roland’s Journal,” and follow the directions carefully. You can’t win if you don’t play. Good luck! I would sign up for that, but I already have that book signed!It is awesome! It proves you know how to write a good book. When will we know who wins the 2nd contest? The winner of Contest #2 has already been chosen. We’re on contest #3. Are you really roland smith?